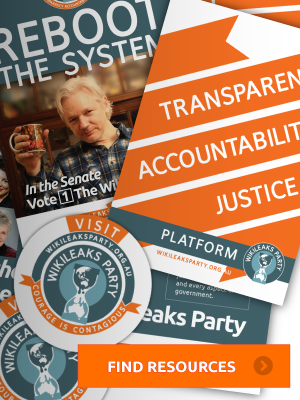 Please donate, stand up and help us to help The WikiLeaks Party be part of History. NEW! 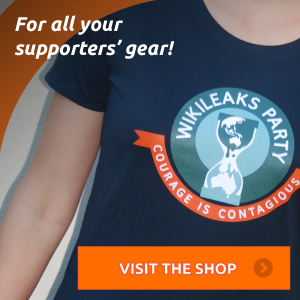 Visit our online merchandise shop. Please include the word ‘Donation’ in the Message field. The first $1,500.00 contributed during a financial year to a political party in Australia, including membership fees, is tax deductible. Donations of over $12,400.00 per annum are subject to disclosure under the Commonwealth Electoral Act 1918.